Florida is home to some of the most amazing travel destinations in the country. Whether you are looking to enjoy a relaxing vacation on the beach, a fun-filled amusement park adventure or get a taste of the diverse culture and food, Florida has it all. In this article, we’ll show you the top 5 travel destinations in Florida, along with activities and must-see sights that will leave you with found memories of your vacation. The first thing to consider before setting out on your journey, is transportation. If you plan to visit all of these destinations while venturing around Florida, there are lots of different transportation options to get you from one point to the next. Keep in mind that some are more affordable than others. For instance, getting from Orlando to Miami doesn’t have to eat up your entire travel budget for your trip. Once you arrive at your destination city, using ride-sharing services such as Uber or Lyft are a cost-effective way to get around the city while exploring. 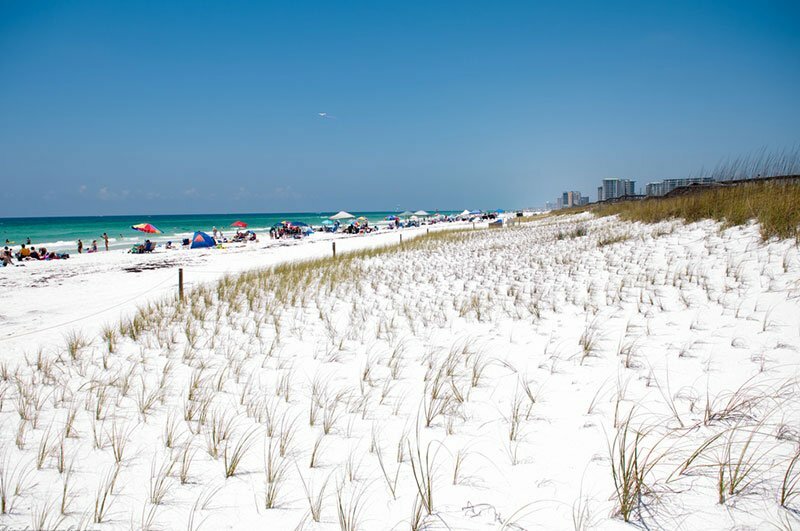 The first destination on our list is Panama City Beach. Known for being a spring break hot spot, Panama City Beach offers a range of different activities for vacationers. If you’re a high energy adventurer, then there is no shortage of fun for you. During the day, you can get your fill of water activities like snorkeling, parasailing, jet skiing and paddle boarding. Then later on in the evening, have your pick of some of the best nightclubs and lounges in the country. Panama City Beach is home to Club La Vela, the largest nightclub in the United States. If instead, you’re looking to get some well deserved R&R, then the 27 miles of sugar-white sand beaches are perfect for you. Gentle water, clean sand and sea breezes will lull your troubles away. Visit one of the many day spas along the beach to be pampered. Hot stone massages, facials, and microdermabrasion are just a few of the available spa treatments that estheticians offer to help melt away your stress. Next on our list is St. Augustine, Florida. Nicknamed ‘The Ancient City,’ St. Augustine has no shortage of historical sites to explore. Visit St. Augustine’s historic city center and walk along St. George Street. There you can see sites like the Colonial Quarter, which is a living museum that provides a look back at the lives of 16th, 17th and 18th century residents. 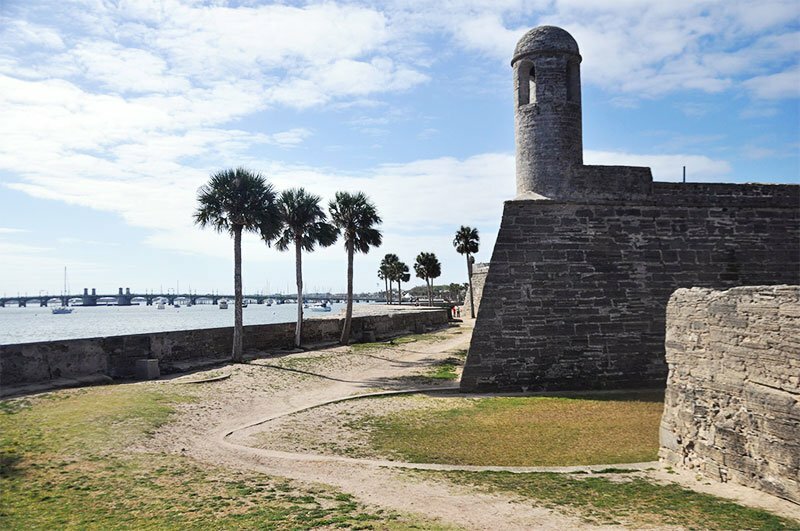 History buffs will also appreciate seeing the Castillo de San Marcos National Monument. A 17th century military fort built by the Spanish to protect the newly established territory of Spanish Florida against British and pirate invasions. Your trip to St. Augustine isn’t complete without visiting the St. Augustine Alligator Farm Zoological Park. You can zipline over the different alligator exhibits throughout the zoo and see Maximo, a saltwater crocodile that measures in at 15 feet 3 inches and 1,250 pounds. Orlando, Florida is home to more than a dozen theme parks. 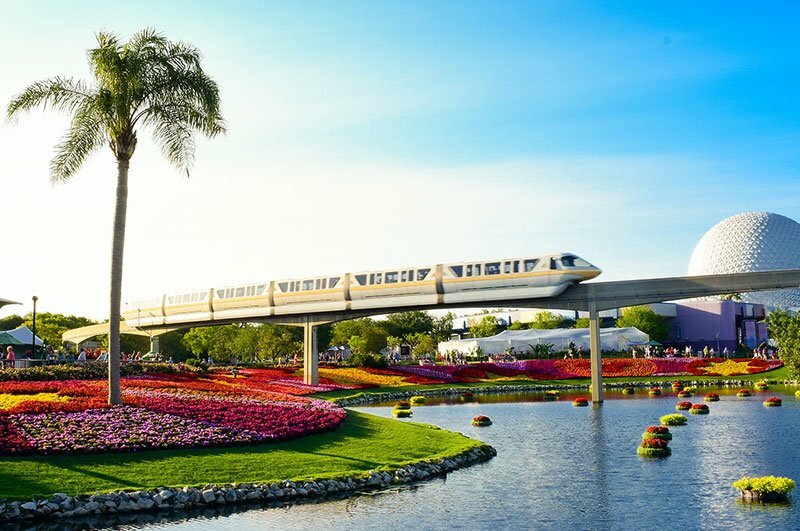 Magic Kingdom, Universal Orlando, Epcot Center, Disney’s Animal Kingdom and The Wizarding World of Harry Potter are just a few of these amazing sights that you can’t miss when visiting Orlando. These parks are great because they have something for everyone. Rides and attractions such as The Amazing Adventures of Spider-Man and Harry Potter and the Escape from Gringotts have mind blowing special effects and thrills. There are endless options for dining as well. From burger joints and taco trucks to world class restaurants, any traveler’s tastes will be appeased. If theme parks aren’t for you, there are lots of other options that Orlando offers. The Ripley’s Believe It or Not! Museum in Orlando is a rare look at some of the world’s most interesting oddities. Shrunken human heads, spinning vortex tunnels, and optical illusions will keep you entertained for hours. You can check out the world famous wax figures at Madame Tussauds. These works of art take hundreds of hours to complete and the attention to detail shows. Take selfies and group photos with your favorite A-list celebrities, movie stars, sports stars and rock stars. The Kennedy Space Center located about an hour east of Orlando, is a fascinating and engaging look at NASA’s headquarters. You can experience flight simulations, meet astronauts and see past launch exhibits. 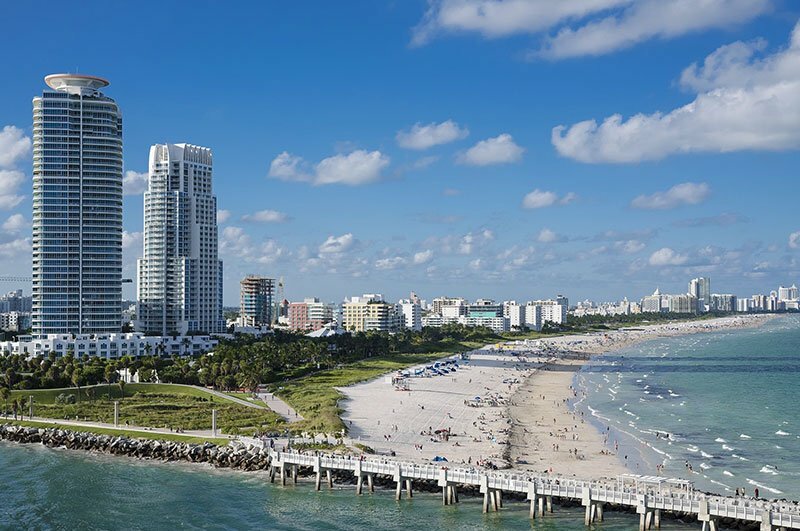 Miami is one of Florida’s most notable cities, and for good reason. Known for its beautiful beaches, art deco architecture, Cuban influence and trendsetting nightclubs, Miami offers nearly endless amounts of ways to have fun on your vacation. Get a lay of the land (and sea), by booking a scenic helicopter tour that will give you breathtaking views of Miami’s skyline, beaches and other famous landmarks. If you’re looking to get active during your vacation, rent a cruiser bicycle and explore the Miami Beach Boardwalk. Stretching about 40 blocks along the beach, you’ll have a gorgeous view of the Atlantic ocean on one side and a view of the lavish South Beach hotels on the other. If you enjoy going out and experiencing the nightlife, then Miami is the place for you. Some of the best clubs in the world are located in Miami Beach and South Beach. You can easily hop from one to the next and enjoy your time there, because most of the clubs are open until 5am. Some of these top spots to include in your adventures are STORY Nightclub, Rockwell Miami, Basement and Mynt Ultra Lounge. For the ultimate nightlife experience, LIV Nightclub is a must-see. It’s ranked as one of the top 10 nightclubs in the entire world and regularly attracts celebrities and VIPS. Last but not least, we are going as far south in Florida (and the continental U.S.), as you can go. 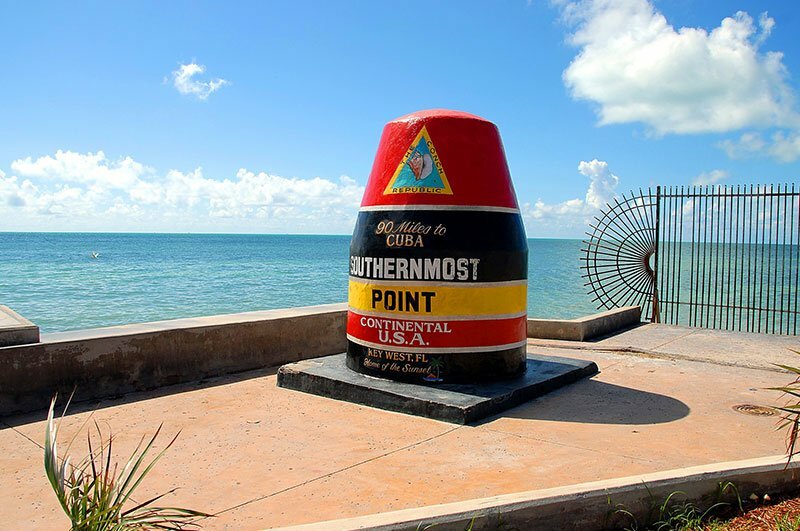 Key West has long been a place of refuge and tropical relaxation for people looking to unwind. With its rich historic roots you can find many museums to explore and landmarks to visit. One of the most fascinating of these is Fort Jefferson, one of the nation’s largest 19th century fortresses, located in the Dry Tortugas National Park. Located about 70 miles off the coast of Key West, you can book a ferry to explore the crystal clear water and experience some of the best snorkeling in North America. Being only 90 miles away from Cuba, you can see the influence in the local hot spots. Venturing down Duval Street, you can check out the most diverse array of restaurants, galleries and shops the island has to offer. Renting a bike and exploring the island is the perfect way to sight-see. You’ll be able to cover the island from end to end while making plenty of stops. At the end of the day, head to Mallory Square to enjoy the nightly sunset celebration with the Key West locals. As you can see, when traveling in Florida, there is plenty to keep you entertained. From rest and relaxation on the beaches of Key West, to the adventure filled theme parks of Orlando, to the fast paced nightlife of Miami, there is something for everyone. Check out these travel hot spots the next time you’re in Florida and you’ll leave with plenty of fond memories. We hope you enjoyed our list of the top 5 Florida travel destinations for your next getaway. Now get out there and enjoy the beauty and fun that Florida has to offer. Kyle Doran is a writer and content creator for Wanderu.com.Wanderu is the simplest way to book bus and train travel in North America and Europe.Kyle loves to travel to new and exciting places throughout the world.He enjoys the novelty of experiencing different cultures, tasty cuisine and learning about the world around him.